The QX602MP3 has the perfect blend of the two most-beloved and effective – reverb and delay. Ideal for adding warmth and body to your voice and instruments, Behringer's world-class 24-bit FX engine’s Reverb/Delay preset has been custom-engineered to give your performance that truly professional finishing touch. 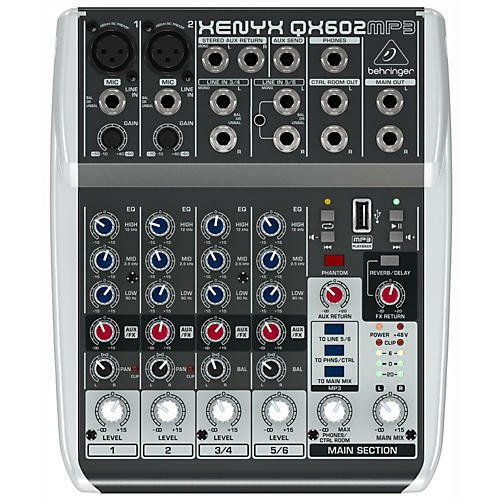 And if you already have a favorite external effects processor, QX602MP3’s Aux Send and Stereo Return functionality is sure to put a smile on your face.